Located south of Missoula, just off Highway 93 lies an unassuming ten-acre parcel. But this property, owned by David and Diana Clark, will protect not only scenic views from the nearby Blue Mountain Recreation Area, but important wildlife habitat and a history of Tribal cultural use. 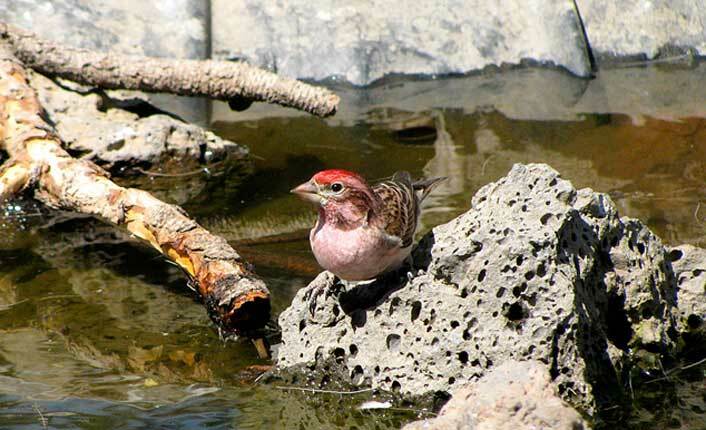 A male Cassin’s finch, a Montana Species of Concern. Photo by Simon Wray, Oregon Department of Fish and Wildlife. 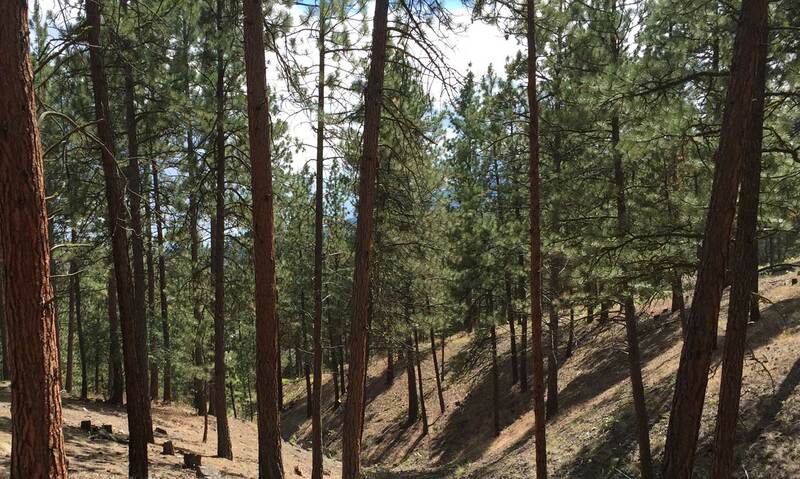 The property is comprised of rolling ponderosa pine and Douglas-fir hills, and is bordered on two sides by protected open space, making it prime habitat for elk, deer, fox, woodpeckers, owls and Cassin’s finch, a Montana Species of Concern. 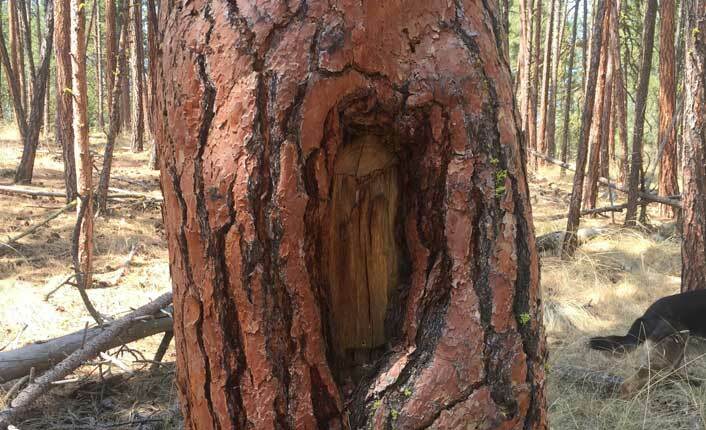 Most notably, several ponderosa pines on and near the property bear evidence from where Indian people may have harvested sap. This Ponderosa Pine bears scars from possible use by Native Peoples. Photo by Five Valleys staff. The project, which closed in December 2017, was made possible with donations from the landowner, and will protect not only our current landscape, but also its history, for the next generation. Thank you to the landowners!